Tox is a new free, private, and secure messaging platform for chatting, file sharing, and audio & video call. In a Tox Messaging Platform, there is a Tox Network, there is a Tox Protocol, and there are many Tox client programs. qTox is one of many Tox client programs, and it is available in GNU/Linux as free software. 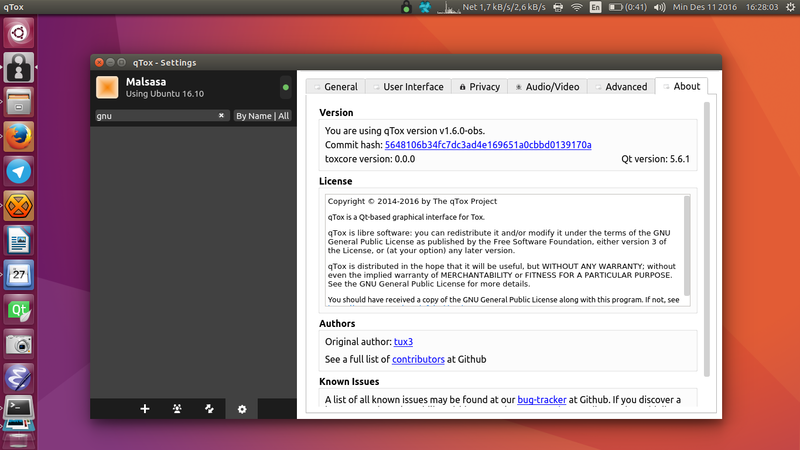 It is also available to Ubuntu. 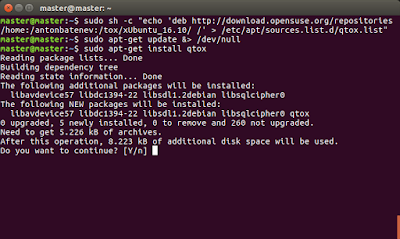 This article introduces how to install qTox step-by-step in Ubuntu 16.10 and 16.04. Picture below shows what you should type (or copy) in the Terminal. 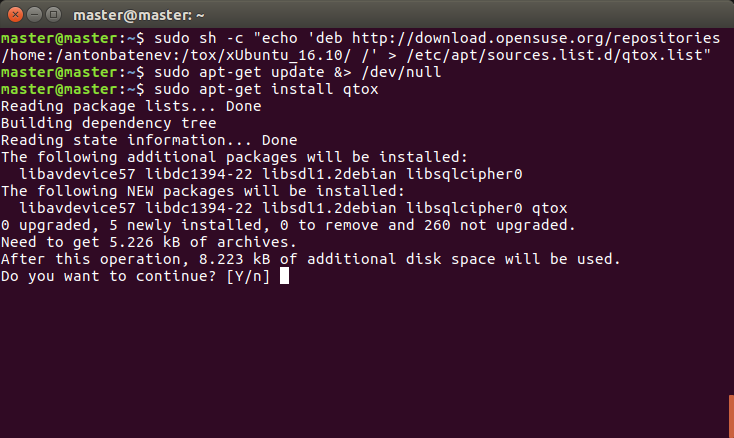 This picture was taken from Ubuntu 16.10.